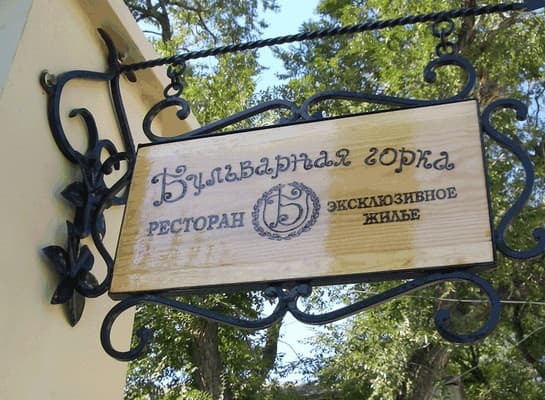 The exclusive, designer hotel "Bulvarnaja Gorka" is the historical name of the highest place in Feodosiya. All rooms differ in design: it is possible to have a relaxation in the exotic rooms of Japan, India, Venice, Thailand or to visit the Love networks, of the dawn, Sun valley. 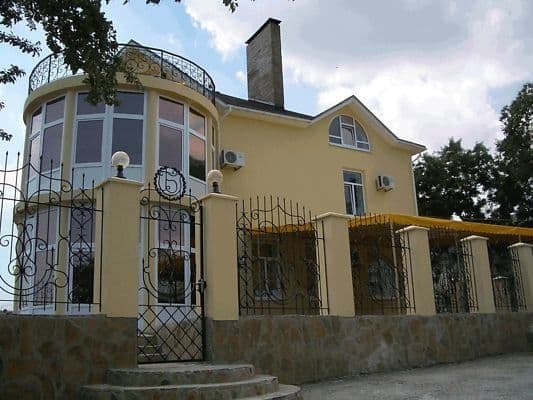 The hotel «Bulvarnaja Gorka » offers the best family rest. 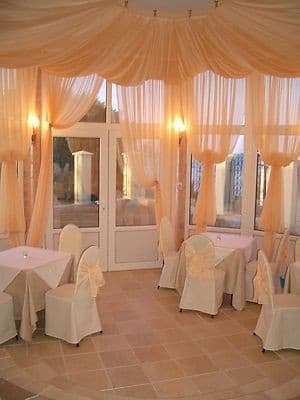 In the hotel there are 13 comfortable rooms with the unique and refined design. 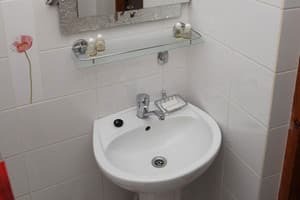 In all rooms there are an individual safe, internal automatic telephone exchange and the Internet, satellite TV, a mini-bar, a bathroom with a shower and cosmetics set. In rooms with the balconies there are chaise lounges, little tables and stools. At your services the author cuisine restaurant and the Finnish sauna. While your children spend time in a children's small town you can have a rest on a summer terrace or sunbathe on chaise lounges in the hotel territory. The room service works 24 hours long, for the additional payment, nanny services are provided. Also, there is car parking. The beach towel and bathrobe is given additionally. 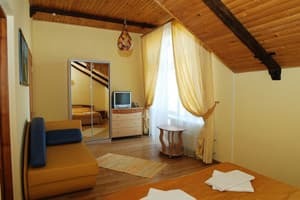 Description of the room: Double bed, bedside tables, TV, air conditioning and telephone. Provides satellite television, internet, electronic safe, towels. Bathroom, combined with a shower. Hot and cold water supply fail. Room service is available 24 hours a day. 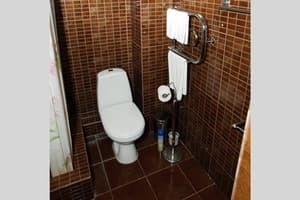 Description of the room: Two single beds, mini-bar, air conditioner, Shower, Satellite television, Internet, Telephone, Electronic Safe, towels, makeup kit, Balcony, total area = 18 square metres. Description of the room: Double bed, mini-bar, air conditioner, Shower, Satellite television, Internet, Telephone, Electronic Safe, towels, makeup kit, total area = 18 square metres. Description of the room: Double bed, mini-bar, air conditioner, Shower, Satellite television, Internet, Telephone, Electronic Safe, towels, makeup kit, total area = 23 square metres. 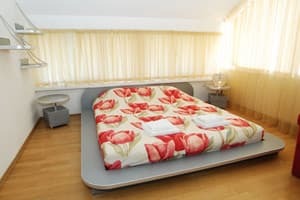 Description of the room: Double bed, mini-bar, air conditioner, Shower, Satellite television, Internet, Telephone, Electronic Safe, towels, makeup kit, total area = 19 square metres. Description of the room: Double bed, soft furniture, mini-bar, air conditioner, Shower, Satellite television, Internet, Telephone, Electronic Safe, towels, makeup kit, total area = 34 square metres. 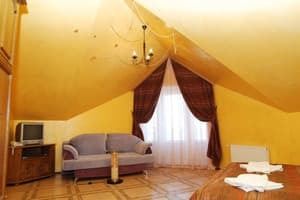 Description of the room: Double bed, soft furniture, mini-bar, air conditioner, Shower, Satellite television, Internet, Telephone, Electronic Safe, towels, makeup kit, total area = 23 square metres. Description of the room: Double bed, soft furniture, mini-bar, air conditioner, Shower, Satellite television, Internet, Telephone, Electronic Safe, towels, makeup kit, total area = 43 square metres. Description of the room: Double bed, soft furniture, mini-bar, air conditioner, Shower, Satellite television, Internet, Telephone, Electronic Safe, towels, makeup kit, total area = 57 square metres. 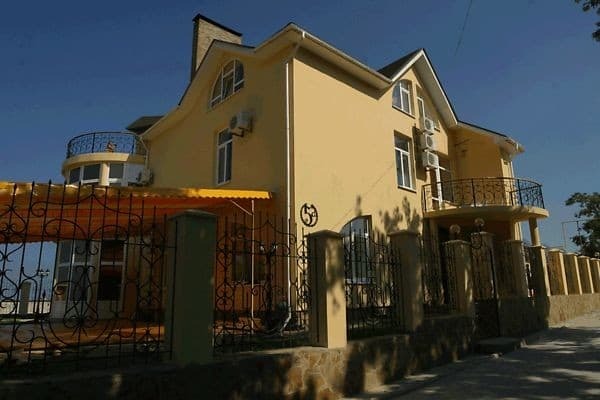 Accommodation of the additional person will cost 70UAH. Children under the 5 years old are accommodated free of charge. 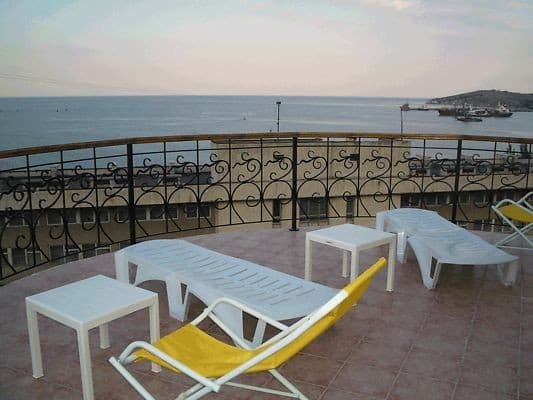 The hotel is situated in 100m from the sea side. Its location is in the quiet place in the quay center. In about 1, 5 hour of traveling from the international airport and the railway station.